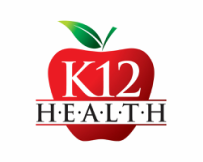 ﻿The mission of K12 Health is to provide quality, cost-effective services, using evidenced-based practice. ​We provide a wide array of comprehensive services to assist schools throughout California in their efforts to keep students safe, ensure students well-being, and achieve compliance. All services are provided under the supervision of a credentialed school nurse. Vision, and hearing screening - let us meet all of your screening needs. We're friendly and efficient. With us, there is no need to contact multiple providers and all screening can usually be completed in 1 day. You provide the space and the students, and we'll do the rest, including documentation and preparation of referral letters for distribution.